The Kings moved to their current home of Sacramento, California in the 1985 – 1986 NBA season, with their first Sacramento season ending in the first round of the Western Conference 1986 NBA Playoffs. However, they saw little success in subsequent years, and the team did not make the playoffs again until the 1996 NBA Playoffs in the 1995 – 1996 NBA season. Some of their failure was attributable to misfortunes such as the career altering car crash suffered by promising point guard Bobby Hurley in 1993, and the suicide of Ricky Berry during the 1989 offseason; some was attributed to poor management such as the long tenure of head coach Garry St. Jean and the selection of “Never Nervous” Pervis Ellison with the first overall pick in the 1989 NBA Draft. Current Kings television broadcaster Jerry Reynolds and NBA legend Bill Russell were among the early coaching staff. 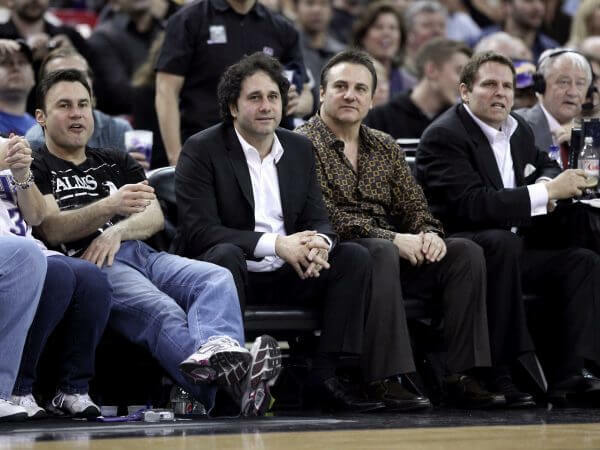 The Maloofs were the owners of the Sacramento Kings of the NBA from 1998 until 2013. The family consists of George J. Maloof, Sr., his wife Colleen, and their children: Adrienne Maloof, Joe Maloof, Gavin Maloof, George J. Maloof, Jr., and Phil Maloof. The Maloofs had acquired a minority interest in the Kings in 1998 and took majority control the following year, with Joe and Gavin operating the franchise. As part of the purchase of the Kings, they also acquired the team’s sister franchise in the WNBA, the Sacramento Monarchs. The Maloofs operated the Monarchs until 2009, when the WNBA was unable to find a new owner and the team folded. 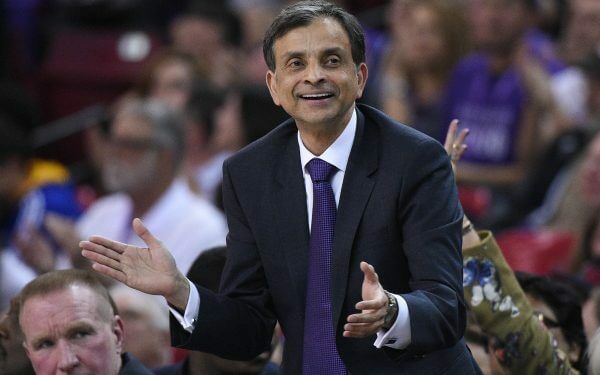 Prior to the sale of the team, a previous deal had been reached, selling the Kings to Microsoft CEO Steve Ballmer and investor Chris Hansen, who had hoped to move the team to Seattle. This sale was nullified on May 15, 2013, when the NBA Board of Governors denied the relocation in a vote of 22-8. The Maloof family also briefly owned the Houston Rockets from 1979 – 1982. The Rockets made the NBA Finals in 1981. The team was sold to Charlie Thomas in 1982. 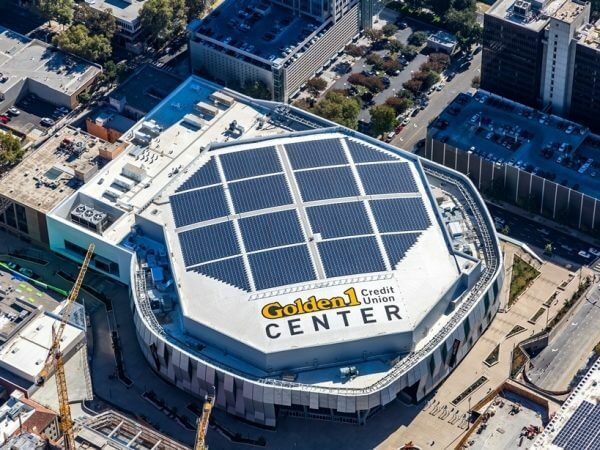 Golden 1 Center is a multi-purpose indoor arena, located in Downtown Sacramento, California. It sits partially on the site of the former Downtown Plaza shopping center. The publicly owned arena is part of a business and entertainment district called Downtown Commons, otherwise known as DoCo, which includes a $250 million 16-story mixed-use tower. The arena, which replaced Sleep Train Arena as the home of the Sacramento Kings of the National Basketball Association, hosts concerts, conventions and other sporting and entertainment events. 34 luxury suites were sold to include all events year-round. Suite partners have access to three exclusive clubs on the premium level including two skyboxes that overlook the concourse and have a direct view of the outside. There are 48 loft-style suites. Capacity is expandable to about 19,000 to accommodate concert audiences. 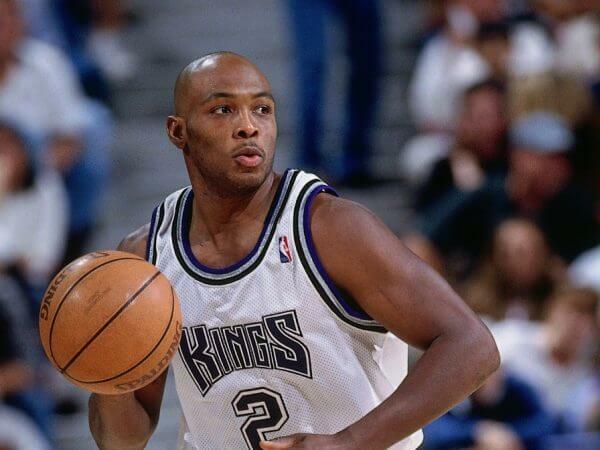 The Sacramento Kings are an American professional basketball team based in Sacramento, California. The Kings compete in the National Basketball Association (NBA) as a member club of the league’s Western Conference Pacific Division. The Kings are the only team in the major professional North American sports leagues located in Sacramento. The team played its home games at the Sleep Train Arena from 1988 to 2016; beginning with the 2016 – 2017 season, the Kings will play home games at the Golden 1 Center. The Kings are the oldest franchise in the NBA, and one of the oldest continuously operating professional basketball franchises in the nation. They originated in Rochester, New York as the Rochester Seagrams (a semi-professional team) in 1923 and joined the National Basketball League in 1945 as the Rochester Royals. They jumped to the Basketball Association of America, forerunner of the NBA, in 1948. As the Royals, the team was often successful on the court, winning the NBA championship in 1951. However, they found it increasingly difficult to turn a profit in the comparatively small market of Rochester, and relocated to Cincinnati in 1957, becoming the Cincinnati Royals. In 1972, the team relocated to Kansas City, Missouri, and was renamed as the Kansas City-Omaha Kings because it initially split their home games between Kansas City and Omaha, Nebraska. In 1975, the Kings ceased playing home games in Omaha and simply became the Kansas City Kings. The team again failed to find success in that market, and moved to Sacramento in 1985. Kings – When moving to Kansas City, renamed themselves the Kings to avoid confusion with the Royals baseball team. The name remained unchanged when the franchise relocated to California in 1985.
Who is the greatest Sacramento Kings?